Hey gang! Here’s a weird story about two songs that I bet you never knew I worked on! The movie is finally coming to America! 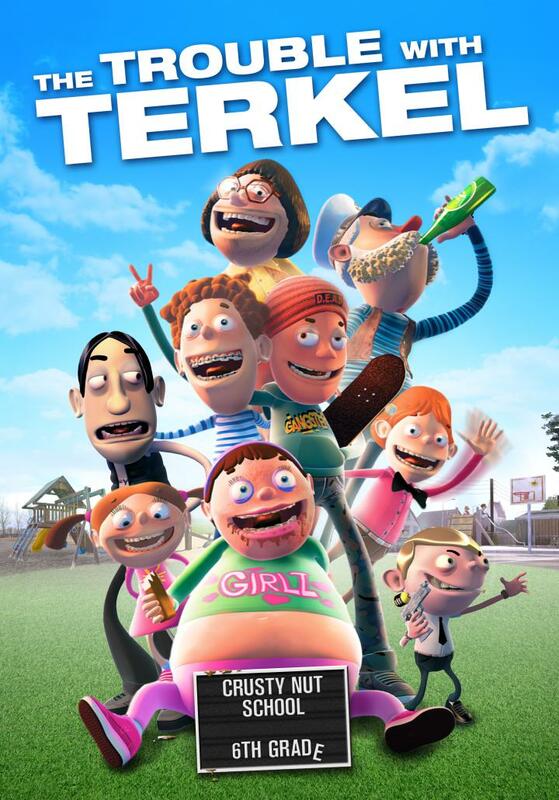 It’s been renamed The Trouble with Terkel and has already scored a spot in the Tribeca Film Festival in New York. It’s also making a west coast debut at the Laemmle Noho 7 on February 3rd at 10pm. . I’ll be there, and it would be cool if you were too! Be warned though; just because this is an animated movie about kids does not mean it is for kids. It is a hard R with some rau-au-au-unchy stuff. Raunchy stuff. The aforementioned “trouble,” that the protagonist, “Terkel,” is “in” is both disturbing and profound. But I’ll be singing in it for a couple of minutes, so it’s all ok! tl;dr I made two songs for this movie that’s playing at the Laemmle NoHo 7 on 02/03/17!